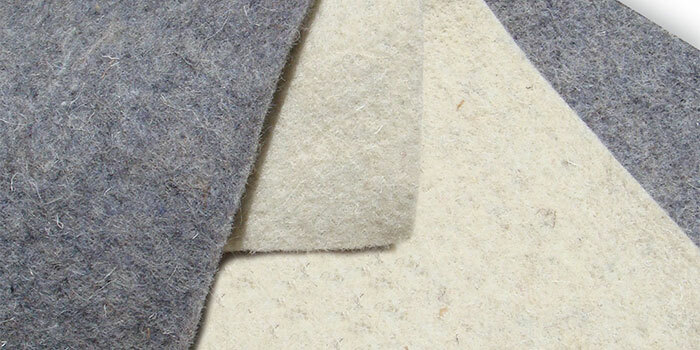 Enhance your carpet installation with premium wool pad from J Mish! Manufactured in the USA. Our Natural Performance Wool Cushion is a 100% wool pad that offers maximum performance and adds to the life of your carpet. Produced from 50% pure virgin wool and 50% post-industrial recycled wool yarn, Natural Performance Cushion is 100% bio-derived with no chemical additives or treatments. 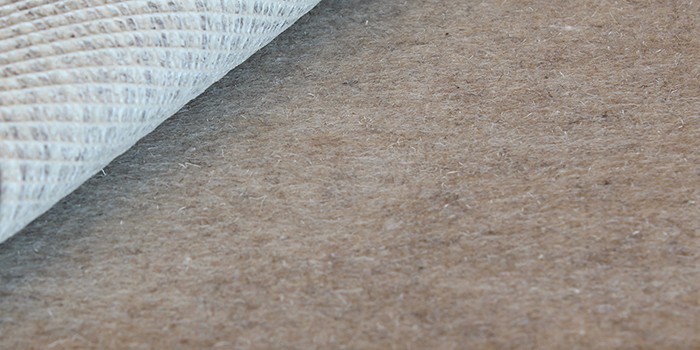 Natural Performance Wool Cushion rolls are 6′ wide by 45’ long. The cushion comes in two weights: 24 oz. (1/4″ thick) and 36 Oz. (3/8″ thick). Both weights provide lasting under-foot comfort due to wool‘s superb memory and resilience. In addition to adding to the useful life of a carpet, Premium wool cushion will enhance acoustical and thermal properties and reduce overall energy and maintenance costs. Two weights – 24 oz. and 36 oz.